How do you create a workplace that works? Joselyn DiPetta at Google, and Managing Partner, Present Possibility, will address that topic in the next WEGGinar™ held on Wednesday, December 6 at 11:00 a.m. Central time. WEGGinar™ is no charge but you must sign up to attend: https://register.gotowebinar.com/register/1837790091765976835. Alibaba sets up a hub for small businesses to go global. E-commerce offers significant opportunities to the logistics industry. 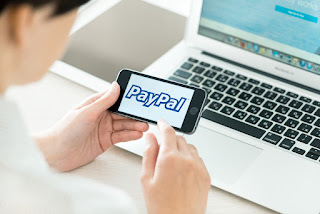 PayPal Marketplaces goes global. What is PayPal Marketplaces and how does it differ from regular PayPal? Find out here. Learn how two e-commerce giants -- one being Amazing -- are trying to export their success. Discover not 1 but 27 social media tools that will help you become a savvy global marketer.